Nissan’s 2018 Leaf, as the folks over at Electrek have said, is a significant improvement over last year’s model. There’s a “40 percent range increase,” as well as a completely new design. The interior design creates a relaxed ambience and premium quality feel, due to carefully selected materials. Vibrant blue stitching in the seats, dashboard and steering wheel has been incorporated as a symbol of Nissan’s electric vehicles. The 7-inch, full-color (TFT) display has been redesigned to highlight key features, such as the Safety Shield technology power gauge and audio and navigation system information. 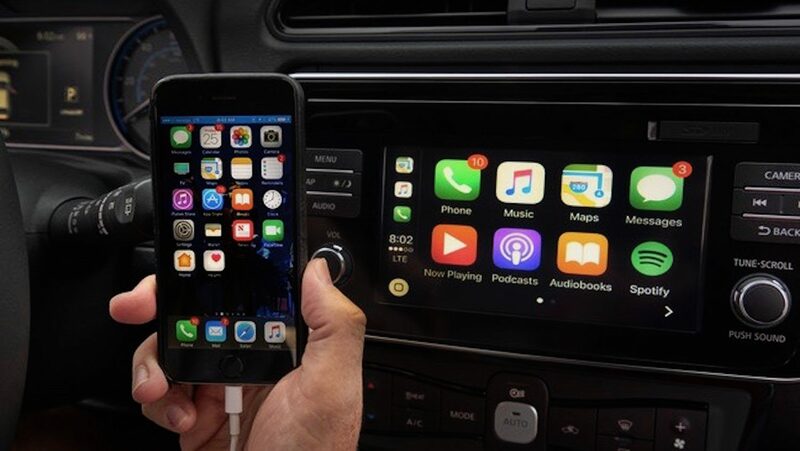 Apple CarPlay has also been added. The folks at Electrek have the full breakdown on everything you need to know about the 2018 Nissan Leaf, including full size and performance information.